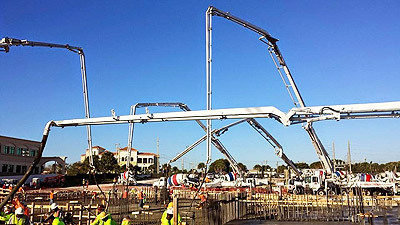 Big Johnson Concrete Placement, LLC is a family owned and operated provider of concrete pumps, laser screeds, and finishing services based in South Florida. 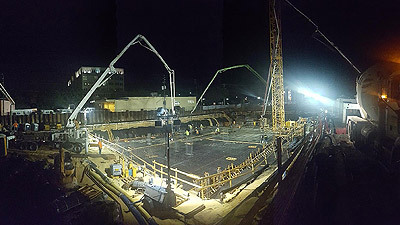 With combined experience of over thirty years, and millions of yards of concrete placed, we have the knowledge to ensure a successful and safe pour of any size. Meticulously maintained and consistently upgraded we offer a fleet of Schwing and Putzmeister concrete pumps, Somero laser screeds, and ACI Certified finishing services. We provide, concrete pumps, laser screeds, and finishers. But our true service comes in how we are a partner in your pour. With our knowledge, we are often able to save contractors thousands of dollars by utilizing our experiences. 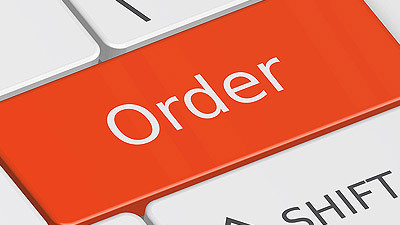 If you would like to place an order, are interested in pricing, or have any questions regarding the services we provide, please do not hesitate to submit our order form or call 772-220-3435.